Quinta da Fata price per day from € 82 This 19th-century guest house is set amongst the Dão Region vineyards of central Portugal. Quinta da Fata serves a daily buffet breakfast at the terrace or in the breakfast room. There is a games room on site and day activities in the area include use of free bicycles to visit local wineries or horse riding..
Casa Do Brasao price per day from € 60 Set in a 17th-century mansion, Casa Do Brasão offers traditionally furnished rooms with free Wi-Fi. 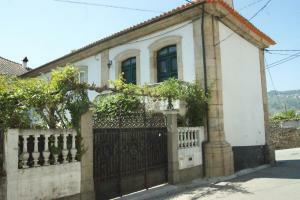 The guest house is located in the town of Tabuaço, in the Douro wine region. A small seating area, some with a chaise longue, and a private bathroom with bath feature in all rooms..
Hotel Apartamento Pantanha price per day from € 39 Escape to the Portuguese countryside, at this hotel with views of the impressive Serra de Estrela. Take part in outdoor activities and enjoy the space of the hotel's surroundings, and its views. 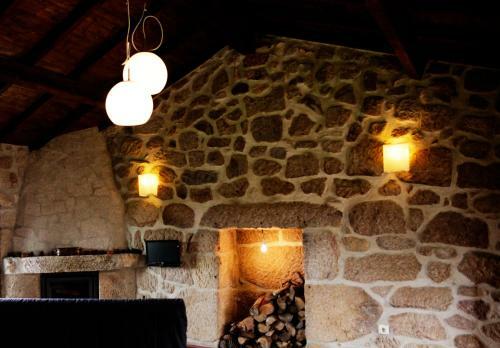 Make the most of the location and go walking or trekking, visit the river or allow the hotel to organize your sporting and cultural trips..
Casa Rural Da Costeira price per day from € 50 Located in the village of Cinfães, Casa Rural Da Costeira is a guest house that combines rustic and modern elements in the slopes of the Douro. The rooms feature central heating and are distributed by the 2 floors of the house presenting wood and earth tones. Outdoors, a wood oven and barbecue facilities are available for guests to use..
Quinta do Terreiro - Turismo de Habitacao price per day from € 100 Set in a renovated, 18th-century house, Quinta do Terreiro is surrounded by a lush garden which includes an apple cherry orchard. Some rooms have a separate seating area with sofas and a fireplace. Guests can read a book from the library or play a game of billiards in the games room..
One Bedroom House in Povoa Dao price per day from € 32 This house includes access to an outdoor swimming pool, tennis court and a garden. Featuring an equipped kitchen, it also includes a private bathroom. 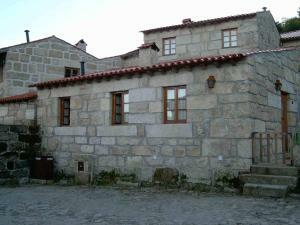 The nearby Viseu centre has various restaurants available, most serving traditional Portuguese meals..
Casa do Ribeiro The rustic Casa do Ribeiro is located in Vouzela, just 5 Guests have access to the house's free WiFi and folding bicycles, that can be used to enjoy the unique landscape of the region. The house’s living room comes with a sofa-bed, TV dining table and a closed fireplace. The room has a double bed, a TV, access to the bathroom and a pantry with washing machine..
Douro House Douro House is located in Tabuaço, 89 km from the International Douro Natural Park. The unit has 3 bedrooms, a private bathroom and an equipped kitchen, along with a dining area. The Douro region is renowned for its rich cuisine and for the quality of its famed wines. Hotel Avenida price per day from € 40 Situated in the heart of the historical town of Viseu, this charming hotel offers rooms with free Wi-Fi and cable TV. 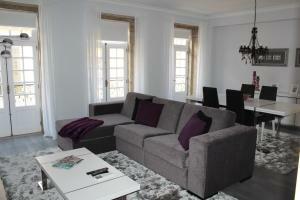 The rooms are decorated with warm colours and elegant wooden furniture. The 24-hour reception can help arrange a selection of activities, including guided country walks, boat cruises on the Douro River, horse riding, and parachuting..
Aquapura Douro Valley price per day from € 180 This former farmhouse Six Senses Douro Valley is a luxurious spa retreat offering spectacular views of the UNESCO World Heritage Douro valley. Featuring a 19th century architecture mixed with contemporary interiors, the Six Senses Douro Valley offers rooms with air conditioning, flat-screen TVs, and private bathrooms..
Quinta Vale do Nox price per day from € 50 Located 3 km from São Pedro do Sul, Quinta Vale no Nox is a stone-built property set in the tranquillity of the countryside. Some offer views of the garden, others have a sofa-bed. The games room offers hours of entertainment, with the snooker and football table..
Hotel Urgeirica price per day from € 45 Set in English-style gardens, the charming Hotel Urgeirica offers individually decorated rooms and an intimate lounge area with a fireplace. Portuguese and international cuisine can be enjoyed at Urgeirica Hotel’s restaurant. Portugal’s coast and beaches can be reached within 1 hour and 20 minutes by car..
Hotel Albergaria Ulveira price per day from € 39 Situated in the quaint town of Oliveira De Frades, amidst beautiful countryside, this 3-star hotel is the ideal base to explore the area’s many attractions. Relax in the comfort of your room or treat yourself to a delicious meal at the restaurant.